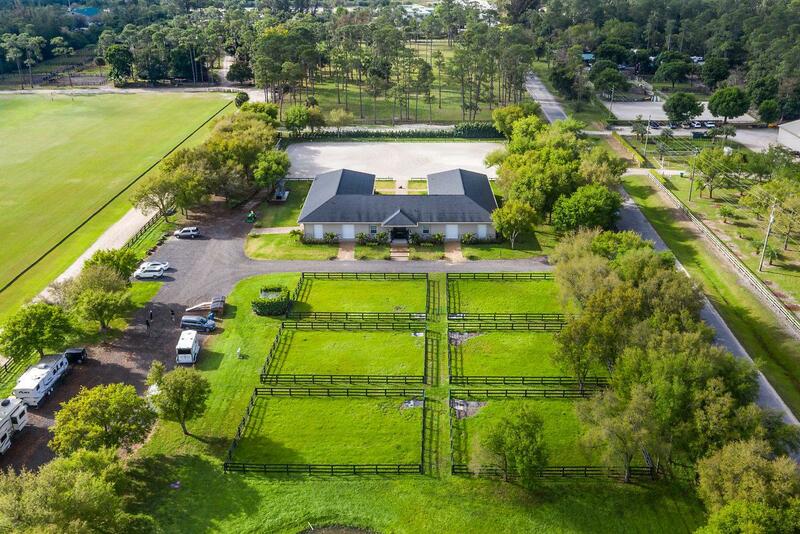 NEWLY CONSTRUCTED EQUESTRIAN PARADISE! 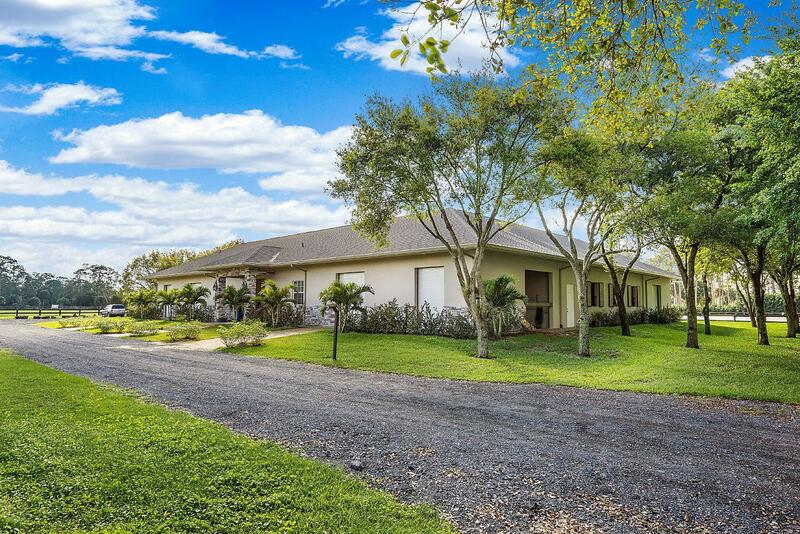 This 12 stall stable on 5 Private Acres with easy access to WEF, Polo and Global Dressage and NO HOA FEE is an Equestrians Dream! 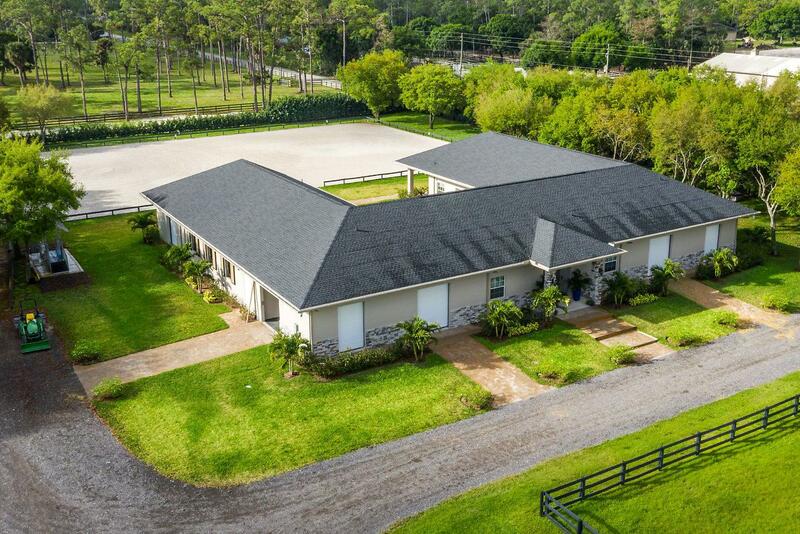 This forward thinking stable comes complete with 12 large stalls, 4 wash stalls, 2 air conditioned tack rooms, 2 laundry rooms, 6 feed rooms and 2 air conditioned lounge areas overlooking the 125 x 200 custom sand ring. Stable is perfectly split into 2 equal sides for maximum privacy and function if renting to Equestrian clients. Upon passing through the gated entrance to the stable, the mature oak trees, immaculate landscaping and 6 beautiful paddocks are breathtaking. 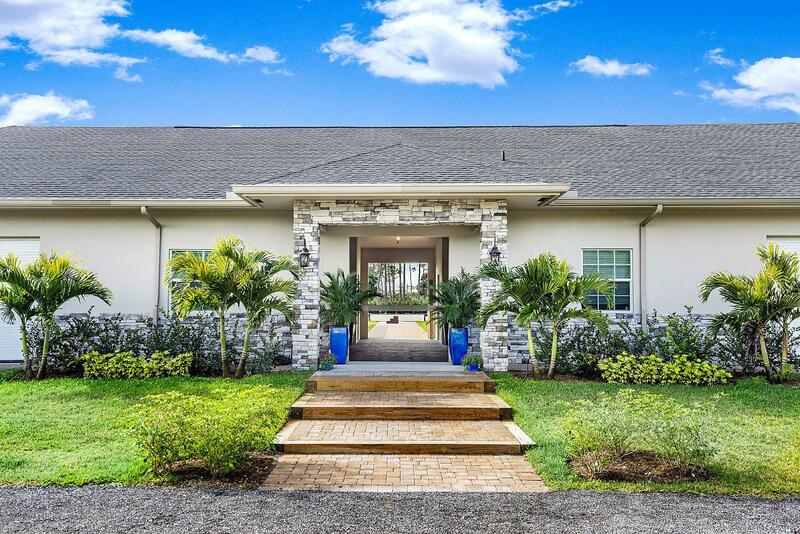 Horse lovers will appreciate the attention to detail with rubbing flooring throughout, video alarm system and the integrated fly system and fans.The tree lined paths frame this magical oasis and it comes complete with a top of the line drainage system. This is a unique opportunity as the stable is currently rented and the rental income you could use to build your dream on this property!